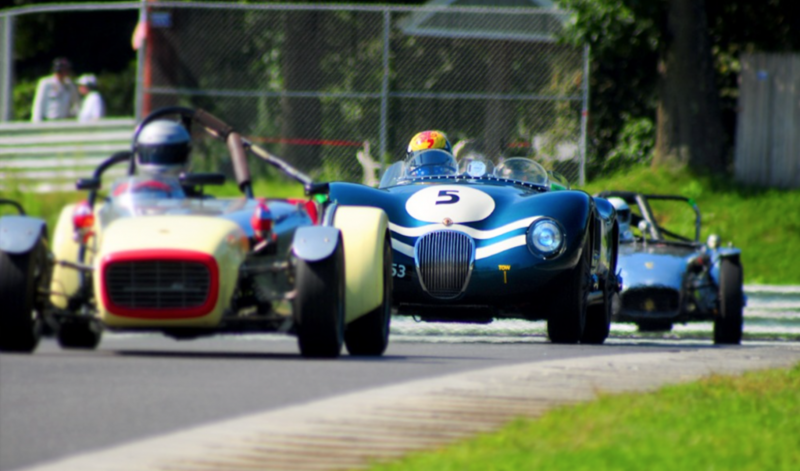 Lime Rock is hosting the Historic Festival 33 this weekend. I’ve never been but it looks awesome. 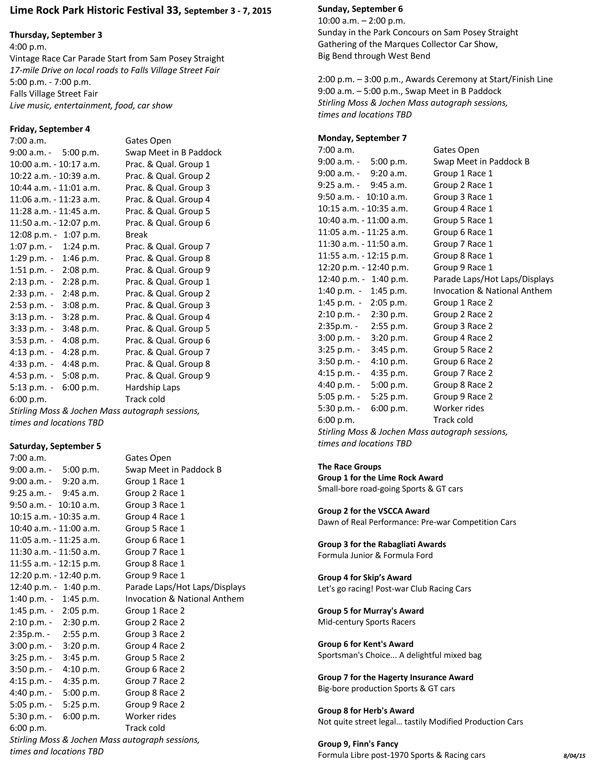 Vintage racing(entry list), concours, book signings, and a bunch of really cool vintage cars. There will be more than 300 cars and drivers, racing everything from cars built before WWI to the best competition machines from the 1920s to the 1970s. 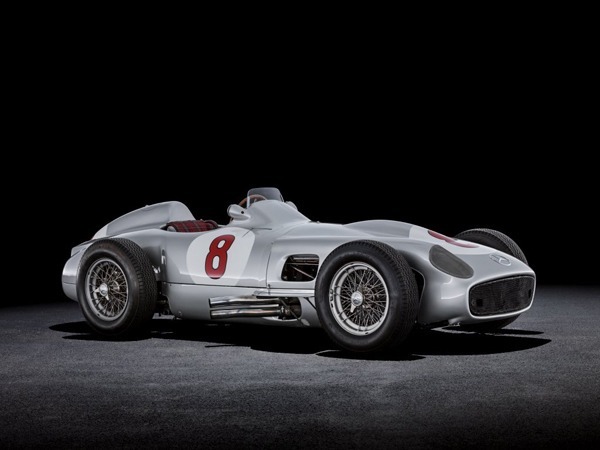 There also six amazingly cool cars that are the centerpiece of the event like this Mercedes-Benz 300 SLR “722” that won the 1955 Mille Miglia in record-breaking time, driven by Stirling Moss and Denis Jenkinson. A 1908 Mercedes Brooklands, sister cars of which nearly won the Indy 500 in 1911 and 1912. The Mercedes W 154 Silver Arrow that finished second in the 1939 Belgrade G.P., days before the start of WWII. 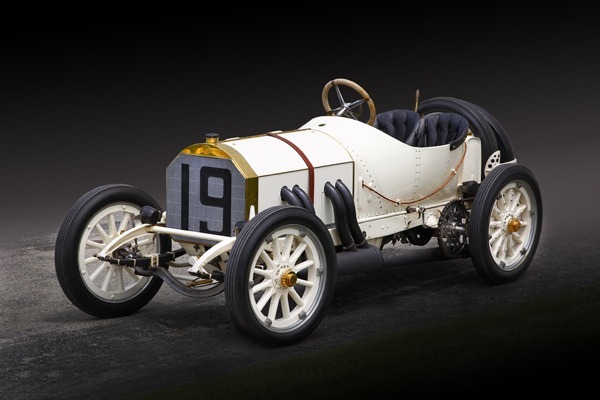 The 1914 Mercedes Grand Prix car. 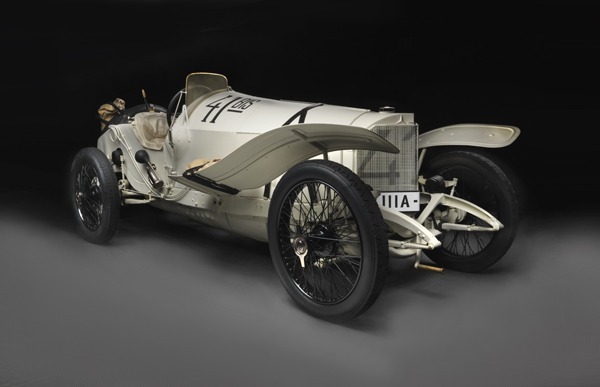 Three of these swept the podium at the French G.P., two weeks before the start of WWI. In between the two race days is the prestigious Sunday in the Park Concours. 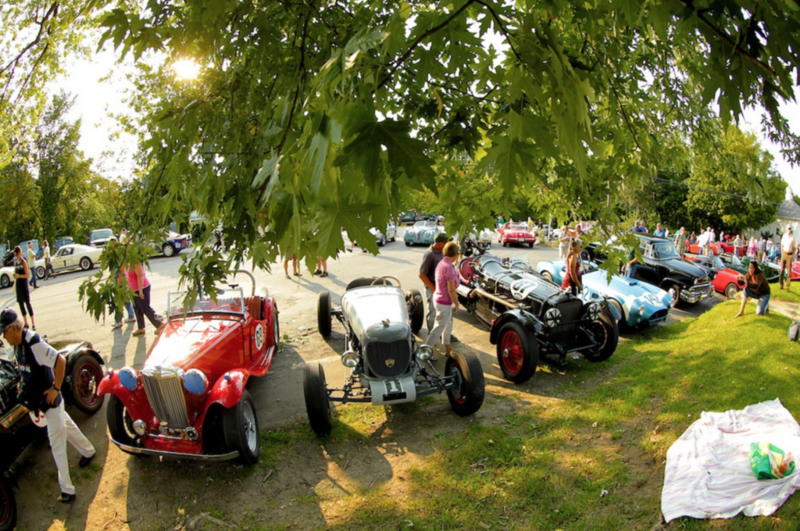 For 2015, expect up to 250 cars comprising the Lime Rock Concours d’Elegance, lining the entire length of Sam Posey Straight, from the Downhill to Big Bend. The cars are judged by eminent experts, by class, on the basis of design, rarity, provenance and condition. The remaining mile of track is completely filled with some 750 additional collector cars, displayed by enthusiastic owners in groups according to marque and origin. This Gathering of the Marquesis a fascinating, eclectic display, where you can get right up close to everything brought by the clubs, from the Citroen Deux Chevaux to the 300SL Gullwing. • For more than 40 years, racing fans all over the world have followed Sam Posey‘s unique career as a driver, writer, and broadcaster. Posey wrote his first article for Road & Track in 1968, the same year he drove a Chevrolet Camaro for Roger Penske’s team in the Trans-Am series. In the 1970s he not only won at Sebring and finished on the podium at Le Mans, but also published a highly regarded autobiography. Posey retired from driving in 1982, but in the years since his public profile has grown through his articles for Road & Track, Sports Illustrated, and other publications, as well as his work as a television commentator. In Where the Writer Meets the Road, Posey has selected the best of his work in both fields. The result is a remarkably varied mix of short and long pieces on subjects ranging from racing in the rain at Le Mans to test-driving the propeller-driven Wind Wagon created by his uncle Teddy in the 1920s. No matter the venue or circumstance, Posey’s writing captures the excitement of racing as well as an insider’s understanding of how the sport really works. • All But For Indy is a set of remarkable stories of forty champion racing drivers who but for a stroke of bad luck, an unfortunate last minute mistake, or just the intervention of fate, were never able to win America’s greatest race. In a volume that could as well have been titled “Nobody Cares Who Finished Second,” authors Joe Freeman and Gordon Kirbygo against the popular grain to offer these remarkable stories. • Veteran U.S. racing writer and award-winning author Gordon Kirby introduces his new book Jim McGee: Crew Chief of Champions, told largely in Jim McGee’s own words, about one of the most successful crew chiefs in Indy car racing history. McGee’s cars won 90 races between 1965-2005, including four Indy 500s and nine Indy car championships. This book features interviews with all the top drivers and team owners McGee worked with over his long career, including Mario Andretti, Tom Sneva, Rick Mears, Emerson Fittipaldi, Bobby Rahal and Nigel Mansell. This new work also traces McGee’s role in the development of today’s big race teams with fleets of engineers in contrast to the three- and four-man teams of the early 60s. It is filled with over 300 images, many from the Racemaker Archive, never before published. • Burt “BS” Levy will be signing and otherwise de-facing all his books including his latest, The 200 MPH Steamroller, the fifth book in the Buddy Palumbo / ‘The Last Open Road’ series. It’s also the first book in a brand new trilogy that traces, in highly parodied form, a large (and thoroughly fictitious, of course!) American manufacturer’s explosive burst onto the motorsports scene, their attempt to buy a legendary Italian race team and their subsequent assault on Le Mans. You know you want to go! You can buy your tickets here.